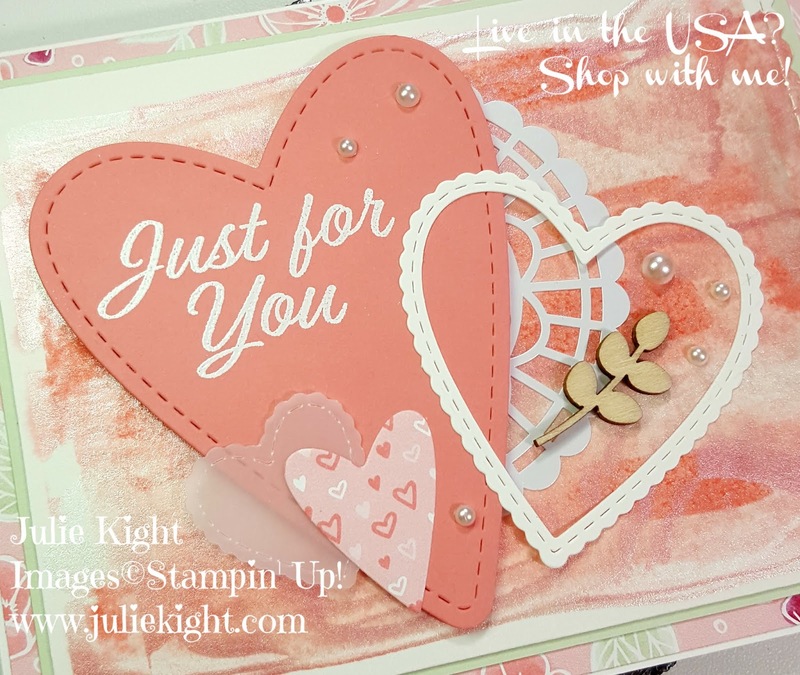 I, again, used the same bundle as my other blog post to show you some different ways of using the stamps and dies. This card is a little more simple then Monday's, but just a beautiful. 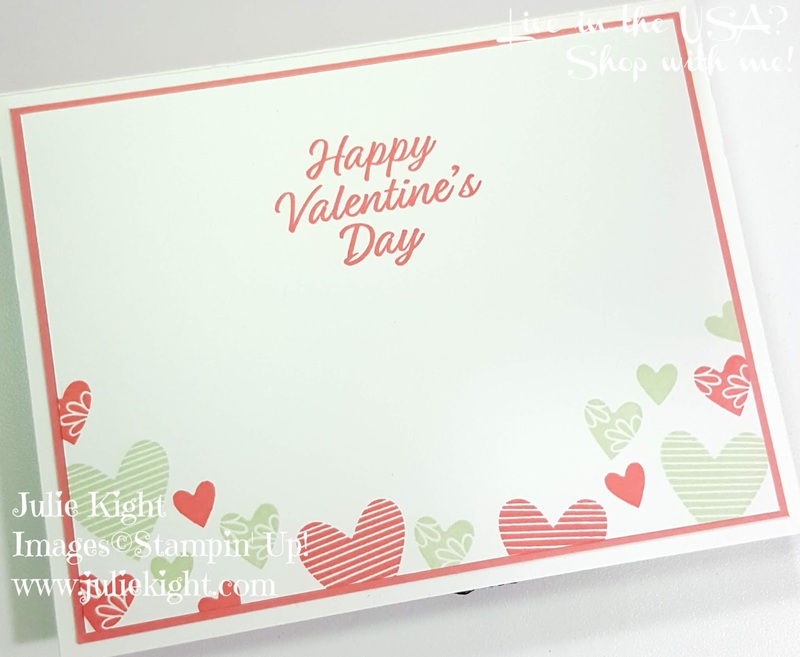 I cut the bottom most layer just a hair smaller then the card base it's self. I also used the ruffled stitched die on the edge of the painted Watercolor paper. These backgrounds just shine from the shimmer paint in it. Again, all I did was take a piece of Watercolor paper and put 4 drops of the Frost White Shimmer paint down one side. Then I placed 1 drop of the reinker onto 2 of the paint drops, usually every other one, next I take an old gift card and swipe it across one way and then back. You could do this with any of the reinkers. 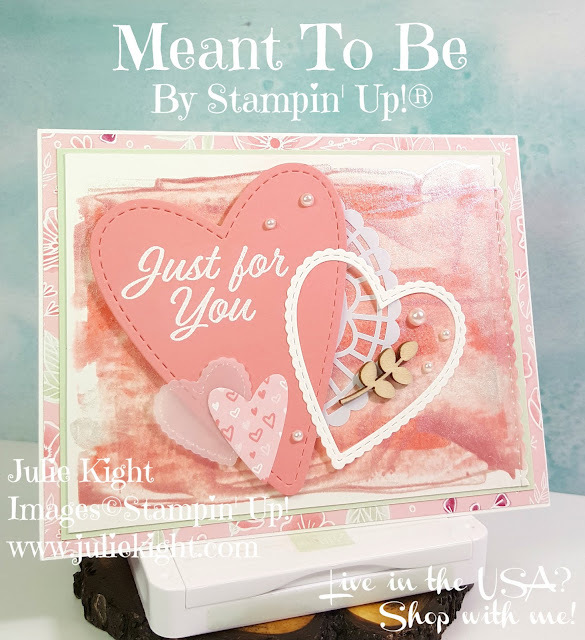 I heat embossed the sentiment onto the solid heart then placed a few of the smaller hearts around it. I also cut one of the Pearlized Doilies to place on the side of the largest heart. 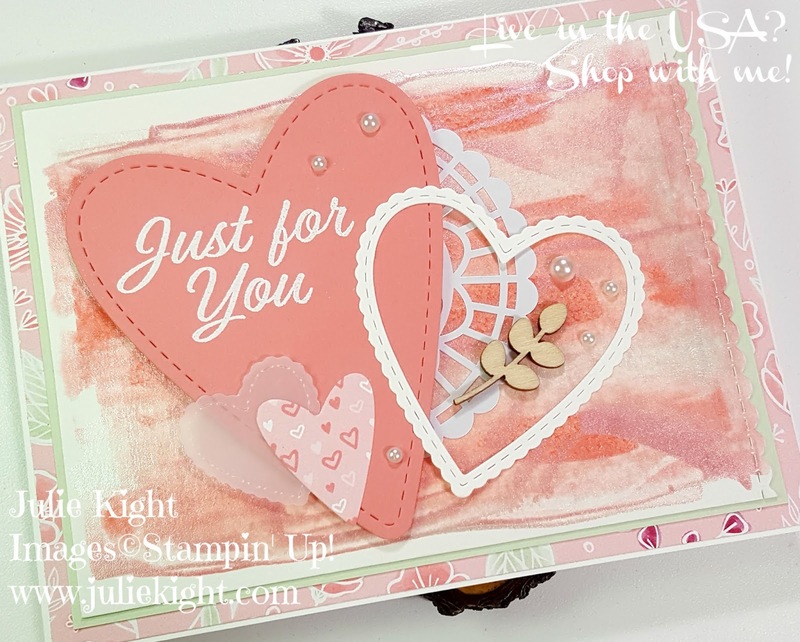 The two smaller hearts are cut from Vellum and a piece of the All My Love DSP (Designer Series Paper). I stamped the inside too with different ink colors and 3 different heart stamps and then a Valentine sentiment. I put a layer of Flirty Flamingo cardstock underneath the Whisper White layer to help frame the hearts and sentiment. Thanks so much for looking today and if you are interested in any of the items I used or have any questions, contact me here.